Arne Duncan Stepping Down As Education Secretary : It's All Politics Duncan has been with Obama from the beginning of his administration. His tenure has been marked by reform — and controversy over initiatives like Common Core and an embrace of charter schools. Education Secretary Arne Duncan said in a letter to his staff that he will step down to spend more time with his family, who live in Chicago. 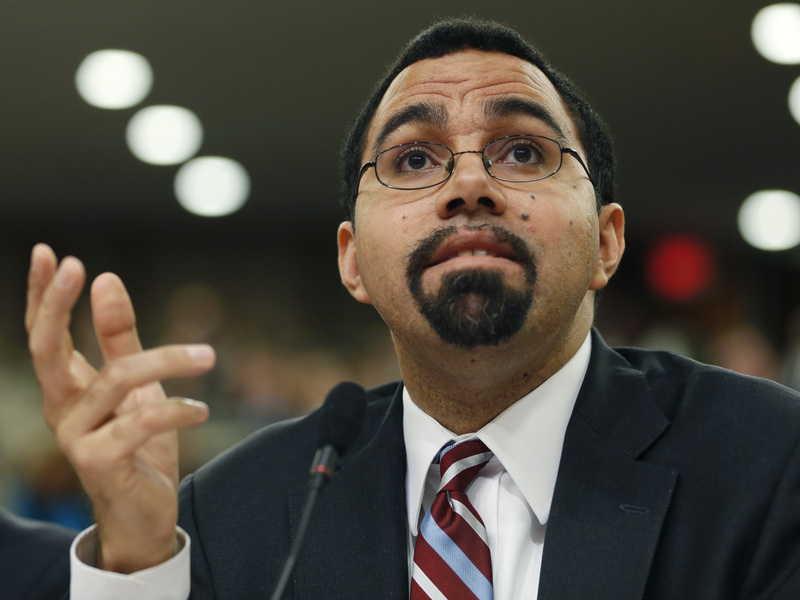 Before John King Jr., Duncan's expected replacement, came to the Department of Education, he was the New York state education commissioner. He was the first African-American and first Puerto Rican to serve in that post. 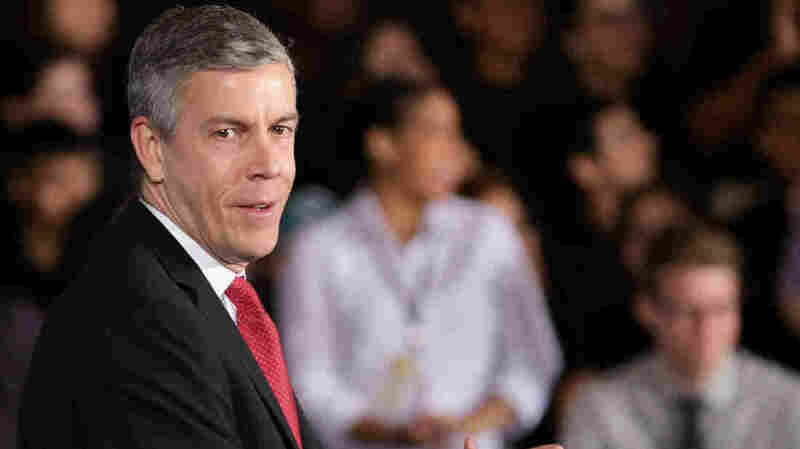 Arne Duncan will step down as President Obama's education secretary in December, a White House official confirms to NPR. Duncan has been there since the beginning of Obama's tenure and is one of only a few members remaining from Obama's original Cabinet. He's come under fire at times from the right and left because of various initiatives, including Race to the Top, the Common Core educational standards and an embrace of charter schools — something that has rankled teachers unions. The irony of the controversies is that education was one area in which Republicans, early on in Obama's tenure, would say they agreed with him. They liked his reform agenda and Common Core originated with Republican governors like Louisiana's Bobby Jindal who have since backed away seeing an uproar from conservatives and even some teachers.